After four-plus decades of living on the east coast, Daniel Gelston received a phone call from a headhunter asking him if he would be interested in relocating to Salt Lake City. Fifteen months later, he says it was one of the best decisions he’s made both professionally and personally. 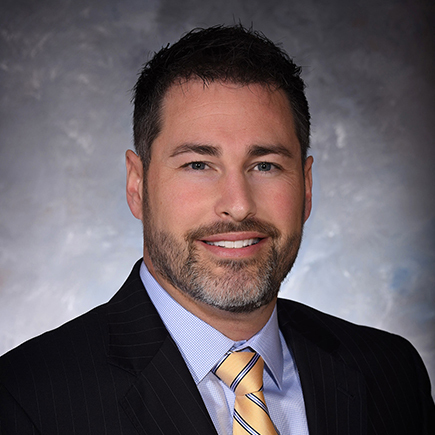 Gelston has an impressive resume with experience in the U.S. military, intelligence community and defense industry. He has led product and service businesses focused on national and homeland security, communications, surveillance and detection, and counterterrorism. In his current role, Gelston manages L3 Technologies’ Communications Systems-West (CSW) business in Salt Lake City and is responsible for overseeing 3,800 engineers and support staff. The company focuses on developing, designing, manufacturing and integrating secure networked communications and is a major contractor that supports the U.S. Defense Department plan and executes its vision for a safer world. I wanted to serve my country, so I pursued a four year ROTC scholarship to help pay for college. I then went onto active duty as an Armored Cavalry Officer serving on the Korean Demilitarized Zone. After 9/11, I served in the intelligence community focusing on counterterrorism. These experiences gave me a first-hand understanding of the fog of war, and the corresponding need for secure communications to help preserve the lives of our service members. What are two recent professional accomplishments of which you’re most proud? Since joining L3, I increased CSW’s focus on business growth and positive workplace culture. Bolstered by some big contract wins in the past 12 months, we set new records in 2018 in every measured financial category. CSW’s recent business performance adds momentum to our Utah expansion efforts. I’m stoked to say we recognize employee accomplishments through some neat partnerships with uniquely Utahn businesses. Over the past year, we’ve enjoyed working with SugarPost Metal, a local company that transforms scrap metal into art, to make L3 versions of those crazy monsters you see on the Park City ski slopes. I also had the privilege of getting to know Jack Carr, a local retired Navy SEAL and author of the New York Times bestselling book The Terminal List. He was gracious enough to sign hundreds of copies of his book for me, and we give them out, along with the L3 Monsters, to our employees in appreciation of jobs well-done. I love the outdoors and mountains, so that made our decision easier. I’m excited to give my family the opportunity to experience living out West. We saw a moose on our first hike and encountered a herd of mountain goats at 11,000 feet on top of Bald Mountain. Our family would never have these experiences living near Washington, D.C.! The low humidity, relatively few bugs, no traffic (compared to Washington, D.C.), amazing scenery, National Parks everywhere…how can I choose just one? It’s refreshing to work in a business-friendly state focused on STEM education and economic growth, particularly one so supportive of the aerospace and defense sector. That has not always been my experience in other states. It’s been a pleasure working with our government partners, from GOED to our congressional delegation. What advice do you have for individuals considering starting a business, or relocating their business, to Utah? I’m a man of few words (my senior staff – and wife – will laugh at that assertion) so let me just say: DO IT! With some of the best economic growth and lowest unemployment numbers of any state for nearly a decade, finding talent in Utah, particularly engineers, is getting harder. We would hire 130 software and electrical engineers tomorrow if we could. I’ll humbly submit Dan Gelston as the greatest Connect Four™ player on the planet. If there was a Connect Four™ World Championship, I’m confident I’d win hands down. Recent games against my three elementary school-aged daughters have reinforced this fact in my mind. I’m a powered paraglider pilot, one of those crazy guys you see flying around with a wing over his head and a big fan on his back. With all the amazing scenery, I’m looking forward to getting back into it and finding people to fly with. Daniel Gelston has an impressive resume with experience in the U.S. military, intelligence community and defense industry. 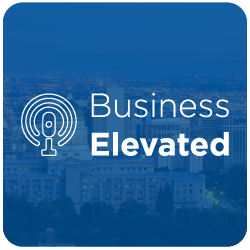 Hear Dan’s story in his own words in this Business Elevated Podcast.